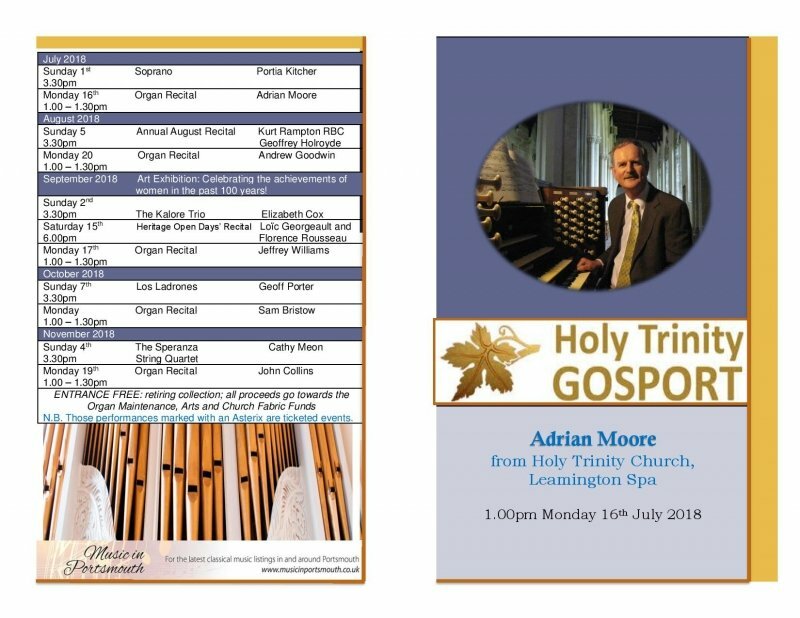 We are delighted to be welcoming Adrian Moore to the recital programme at Holy Trinity Church, Gosport, on Monday 16th July starting at 1.30pm! 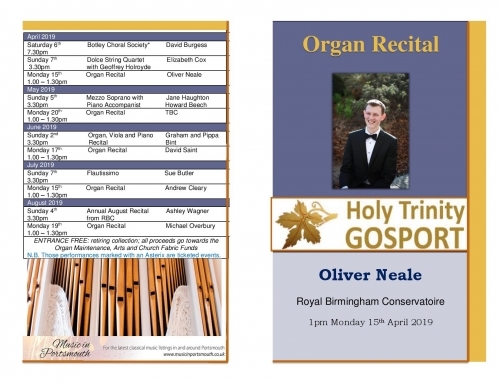 Adrian joins us from Leamington Spa where he is organist at Holy Trinity Church. 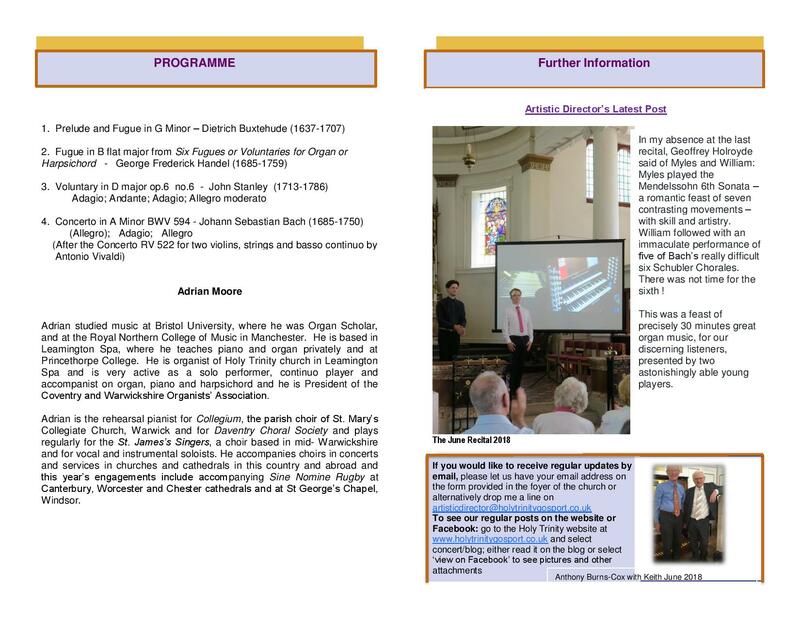 You will see from his programme that he is a much sought after musician and recitalist. 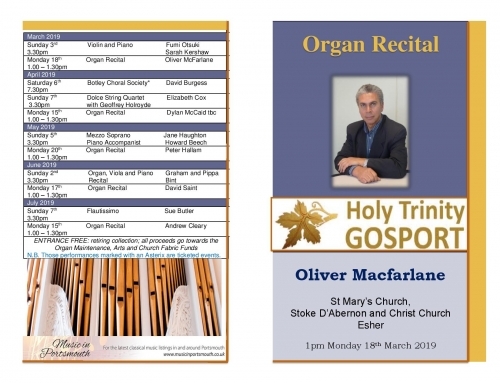 We are very fortunate to have attracted him to HTC, Gosport; I have no doubt that our splendid organ and superb acoustics have played their small part in this – and the knowledge that our lovely audience will welcome him warmly. Join us too for a half hour of beautiful music from Buxtehude, Handel, John Stanley and Bach . . . FREE ENTRANCE with retiring collection; all proceeds go to Organ Maintenance, The Arts, and Church Fabric Funds.